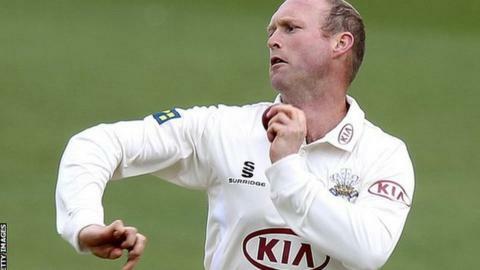 Nottinghamshire have recruited former Lancashire bowler Gary Keedy as player-spin coach and assistant physio. The 39-year-old will be registered as a player, but his prime focus will be on his off-the-field duties. Keedy joins from Surrey where he took 22 first-class wickets last season and he has claimed 678 four-day victims in all since his debut in 1994. "Gary has a wealth of experience and is uniquely qualified to serve us," said director of cricket Mick Newell. "He was keen to take the next step towards a full-time career in physiotherapy but still feels that he can contribute to our coaching team and provide an option for those games away from Trent Bridge where we may opt to play two spinners." Keedy will provide specialist support for spinners Graeme Swann, Samit Patel, Sam Wood and Adam Tilcock, while also acting as physio for the second XI and academy teams. He joined Surrey for the 2012 season from Lancashire, where he made more than 400 appearances over 18 years, winning the County Championship Division One in 2011 and twice achieving promotion from Division Two. Keedy has also claimed 119 wickets in List A cricket and another 72 in the Twenty20 format in his senior career. "I have had a great year at Surrey and would like to thank everyone at the club for their warm welcome and fantastic support," he said. "However, the chance to develop my career in physiotherapy at Notts was too good an opportunity to turn down at this stage and I am looking forward to the new challenges ahead next year."